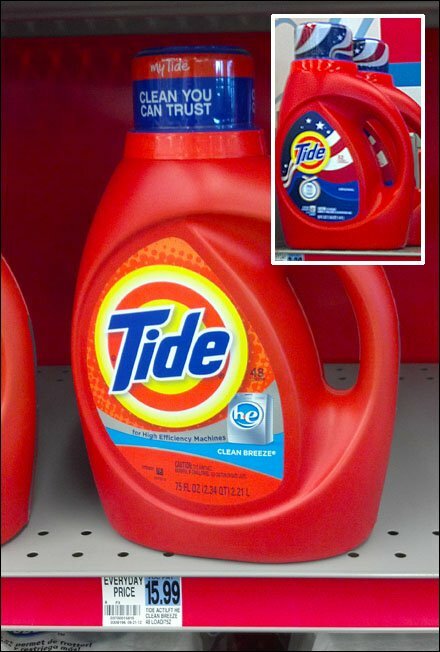 Tide takes over the shelf with intense color branding. The package is red. The Gondola backer is read. The header signage is red. The Shelf edge label strip is red. 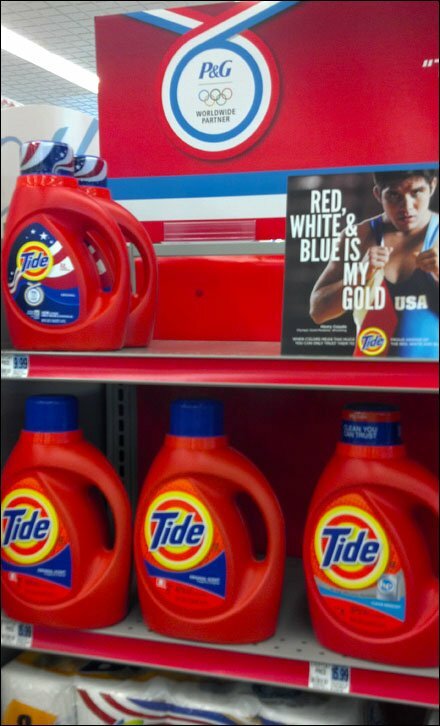 But note the collectors edition Tide detergent upper left, and the “Red, White and Blue is My Gold” tag line. Get ’em while hot, because these Olympics collector edition bottles seem to sell fast. CLICK the thumbnail to compare package designs.